客船「ノーティカ」の向こうにクレーンが見えるだけのリフレクションズ・アット・ケッペル・ベイ　残っているこの年の写真はこれ一枚/ Beyond a cruise ship “Nautica” , Reflections at Keppel Bay was only crane-site in 2006. This is its only one photo that year. Each time when I come back to Singapore, I never see the same Singapore for twice. Many unique new buildings appear and make new landscapes, and surprise us. Singapore is perpetually on the process of transformation. 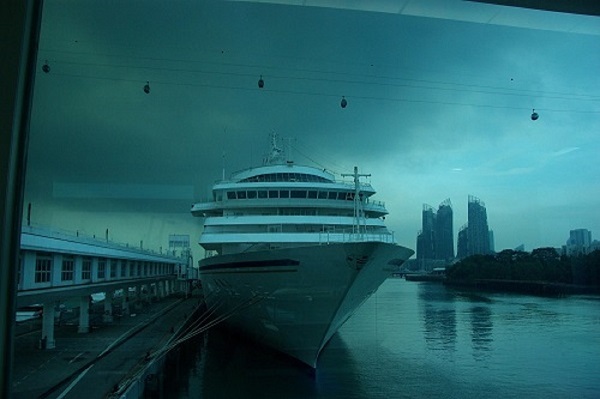 “Reflections at Keppel Bay” opened in 2010 is one of them. 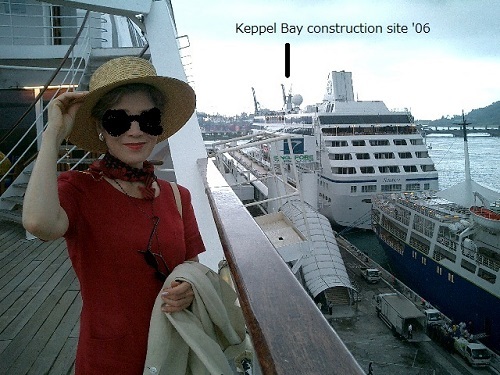 When I first took a glance at the site in 2006, it was just a land with tall cranes on it. But today it emits a kind of familiarity. I think it is because people has lived in the buildings.